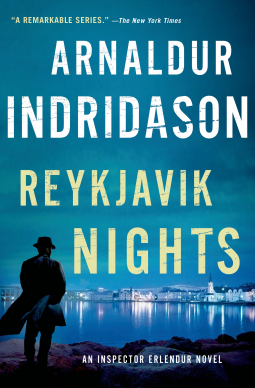 Miss Bates read Arnaldur Indridason’s Reykjavik Nights as a rom palate-cleanser. (Eons ago, when her genre reading was crimefic, she read Indridason’s Jar City and Silence Of the Grave. They’re fabulous books; Miss Bates highly recommends them.) To return to Indridason’s latest Erlendur mystery, Miss Bates was surprised to find how poignant it was and even more surprised to find herself identifying with the detecting character.